The Backstreet Boys Are Better Than Ever. This is the headline that Paper magazine chose for the Boys’ most recent interview and appropriately so. 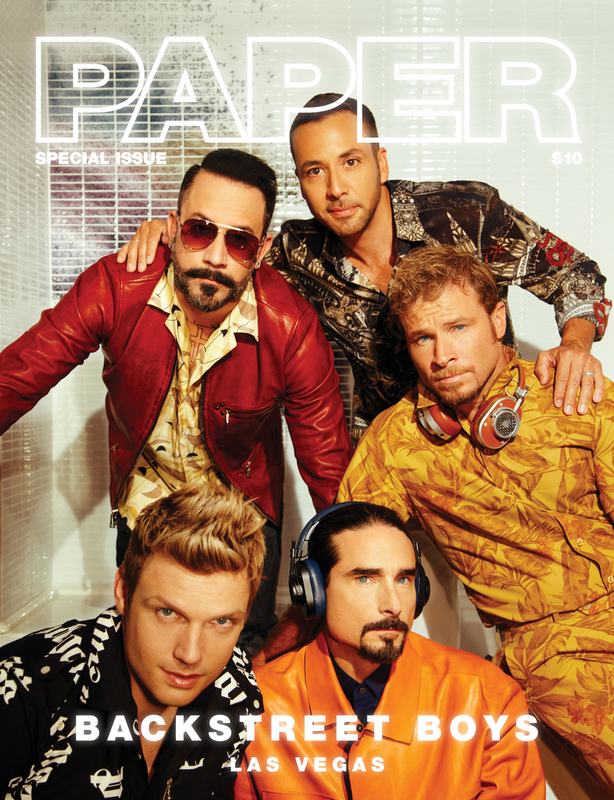 Before 2017, it was hard to find Kevin, Howie, Brian, AJ, and Nick together on the cover of any magazine, much less a major publication. Since the Backstreet Boys launched their Larger Than Life Las Vegas residency though, things have changed. From the flight on the way into “Sin City” to the hotel rooms to the huge screens on the famed Las Vegas Strip, the faces of the five men we’ve come to know and love since 1993 are hard to escape. In short, Vegas has become a sort of a BSB Disneyland for any fan. It’s not just the fans, however, who are loving the experience. “We have been having the time of our life here in Las Vegas. Some of us have actually moved here, we're recording our next album here. The town has really embraced us,” Nick Carter told Paper, the magazine probably most famous for their unforgettable Kim Kardashian cover photo a few years back. It’s no wonder that they’d want to feature the Boys on the cover of their special Vegas series, alongside legends like Mariah Carey, Jennifer Lopez, and Ricky Martin, all of whom are thriving in their own residencies right now. To read the full interview, including the Backstreet Boys’ favorite places on the Strip, wild times and what’s changed for them as a group in the past 24 years, click here. For a taste of what Backstreet will be bringing back to the stage when they return to Axis Theater in November, tune into the BoyBand finale on Thursday, August 24th at 8/7c on ABC!